Beautiful framed photos adorning the walls and shelves, fill the house with coziness and it creates a warm, family atmosphere. Especially fun to create a photo frame with their hands. Buying a simple wooden frame, you can arrange it any available materials and become the owner of a truly exclusive jewelry. - a plastic spatula or knife. Ways to decorate a photo frame there are many – it all depends on your imagination and dexterity. For example, you can decorate the frame with acrylic paints. Perhaps the most popular way of decorating photo frames – gluing various accessories. This will suit a bright wrapping paper, shells, pebbles, dried leaves and flowers, feathers, beads, beans, pumpkin seeds, buttons, and even pieces of plastic cards. Think in advance of what will be the design of your frames, and choose the right materials. This jewel, in principle, and can be limited. If you decide to paint the frame with acrylic paints, then start with a thin pencil sketch of the future drawing. As stencils you can use coins of various diameters, small leaves. Then color the blank dry. You can do without colour: in this case, just glue on a wooden base, decorative elements (beads, buttons, shells, dried flowers). They can be stuck absolutely chaotic, or to think in advance and put some interesting pattern. By the way, in painted frame decorative ornament will look just as good. On the contrary, color is an important element of style, so consider the color scheme and boldly stick a decoration on top of acrylic paints. The original version of decoration frame – finely cut old plastic cards. Wooden frame pre-cover acrylic paint. In any order firmly stick trim the cards on the frame. Cover the finished varnish composition. In each house there is a box with various buttons. Try to decorate a picture frame with a mosaic of buttons. Carefully glue buttons to a wooden frame approximately equidistant from each other. When the glue dries, prepare a thick plaster solution. If using a plastic spatula, apply plaster solution to the frame and carefully smooth the surface. With a damp sponge, remove the traces of plaster on the buttons, wait until solidification of the solution. Paint the buttons with acrylic paints as you will prompt your imagination. As a final decorative additions apply some glue to the parts of the frame. Sprinkle sand, glitter or some small grains. After the glue has dried shake off the excess with a brush. If you want to glue a frame to the living petals of flowers or leaves, they should be dried a little iron. But be careful – in case of severe dryness, the plants lose their ductility and become extremely fragile. To the pattern of beans, and pumpkin seeds, shells, buttons looked impressive, pre-color them and cover with paint. Experimenting with the color of decorative elements, you can create different thematic compositions (landscapes, flowers, letters). 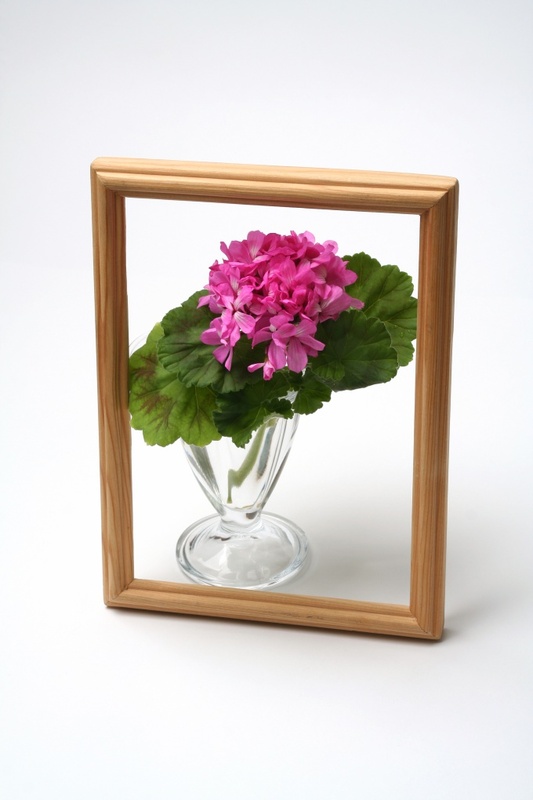 Before pasting decoration, cover a wooden frame with varnish. It will provide durability and neat appearance.